The ground may be frozen now, but later this year, hemp plants will spring up on thousands of acres of land in Kentucky. A record number of growers have been approved to cultivate industrial hemp this year. The Kentucky Department of Agriculture has approved 209 applications from growers who will plant 12,800 acres of hemp for research purposes. More than 23-hundred acres was cultivated in 2016. “By nearly tripling hemp acreage in 2017 and attracting more processors to the state, we are significantly growing opportunities for Kentucky farmers,” Agriculture Commissioner Ryan Quarles said in a news release. Besides individual growers, five universities, including WKU, will grow and research the crop. The state has also approved 40 hemp processors. The recent decline in commodity prices is believed to be a factor behind increased interest in hemp production. Kentucky’s industrial hemp program was approved in the 2014 federal farm bill that permits pilot programs in states where hemp production is allowed by state law. Until Congress removes industrial hemp from the list of controlled substances, the state plans to keep positioning itself as a leader in hemp production. Kentucky’s Agriculture Commissioner is predicting 2017 will be the biggest year yet for the state’s hemp program. The commonwealth is now accepting applications for those who want to take part in the pilot research project next year. Ryan Quarles wants to build on the increasing amount of hemp that’s been planted since the program began in 2014. “In the first year, about 30 acres were planted. In the second year, about 900. This year, over 2,000. And we fully expect there to be substantial growth in 2017,” Quarles said. More information on Kentucky's program, including the 2017 policy guide and a downloadable application, can be found here. 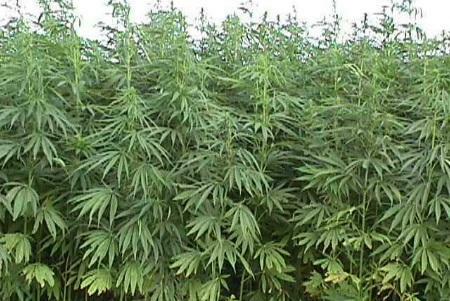 Kentucky is running its program under a federal law that allows industrial hemp pilot projects. Kentucky's Agriculture Commissioner is asking the federal government to reconsider its latest set of rules regarding industrial hemp. Last month, Ryan Quarles said he would be reviewing the U.S, Department of Agriculture's 'Statement of Principles' to see how it relates to Kentucky's own pilot hemp research program. The report, called a Statement of Principles on Industrial Hemp, released by the United States Department of Agriculture, Food and Drug Administration and Drug Enforcement Administration holds no actual legal standing but does attempt to offer some clarity on how Federal laws will be applied to hemp research production. The Kentucky Department of Agriculture is reviewing the opinion to determine how significant an impact the notice could have on the industry. In the meantime, Ag Commissioner Ryan Quarles said some progress is clear, like the USDA allowing Organic Certification of the crop and access to specialty crop grant funding. “There are some areas that may be problematic, including the definition of what the actual definition of what industrial hemp is,” said Quarles. According to the Commissioner, 60 percent of the state’s hemp programs are invested in hemp oil production, or CBD. After the first reading of the statement, the KDA is unclear how the federal organizations view this area of research. A western Kentucky business is bringing industrial hemp to market. Kentucky Hemp Works has opened a processing facility in Christian County. Owner Katie Moyer says the small, family-run business is taking hemp seed and turning it into oil that can be used in a number of products, including salves and lip balms. "Quite frankly, a lot of farmers aren't going to want to put seeds in the ground if they don't think there's a market for it," Moyer told WKU Public Radio. "We need to develop those markets and show farmers and elected officials that there is a market for these things." According to the Kentucky Department of Agriculture, the state has 35 processors participating in a pilot program allowed under the federal farm bill. Kentucky Hemp Works is the first to locate in western Kentucky. Kentucky began growing hemp in 2014 for research purposes after a decades-long federal ban.